Irish composer Ciarán Farrell was born in Dublin, Ireland, and graduated from Trinity College Dublin in 1997. Growing up he studied piano and clarinet at the Royal Irish Academy of Music, and later the guitar at the DIT Conservatory of Music and Drama. He also took classes with Ennio Morricone at the Accademia Musicale Chigiana in Siena, Italy. He has worked with and received commissions from the BBC, RTÉ lyric fm, RTÉ Performing Groups, the Ulster Orchestra, Craig Ogden, The Smith Quartet, Gerard McChrystal, John Feeley, Damien Kelly, Redbrick Duo, Cois Ceim, The Degani Ensemble, Concorde, and Codetta amongst others. Ciarán has also worked on a number of TV/Film productions including the internationally broadcast series Divine Magic, and Eyes on the World. Andre Singer (MD of Cafe Productions) wrote of Ciarán on the completion of Divine Magic, '...a hugely ambitious undertaking which composer Ciarán Farrell took into his stride. I look forward to working with him again, although I suspect he will be in too great demand in the future.' Other production companies worked with include C4, Discovery, RTÉ, TG4, Littlebird, and Non-Fiction Films. His latest venture is a new music project entitled, 'Opium Jazz'. It features some of ireland's top musicians, and the first EP released under this project title is called, 'Stealing Beauty'. It can be streamed from the 'Opium Jazz' website. He has been the recipient of numerous music bursary and commission awards from the Arts Council of Ireland. His work is performed and broadcast regularly, both at home and abroad. He was elected to Aosdána in March, 2015. 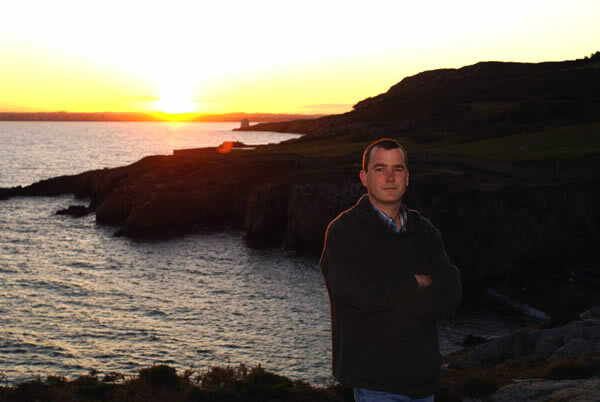 Ciarán lives and works on the picturesque peninsula of Howth, just north of Dublin city.